BP-KENNEDEI is a 20 inch loose layered spiral curl ponytail with a dome top and fringed bang. 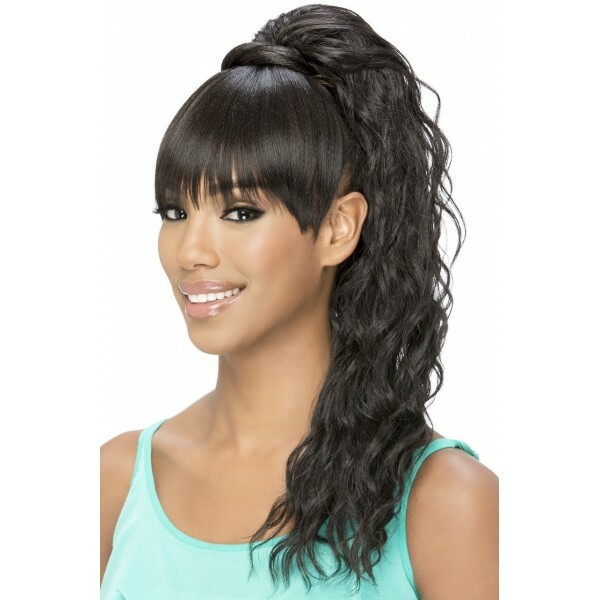 BP is “Ponytail Pocket Bun combined with Bang” to make it easy to create beautiful salon style within a minute. 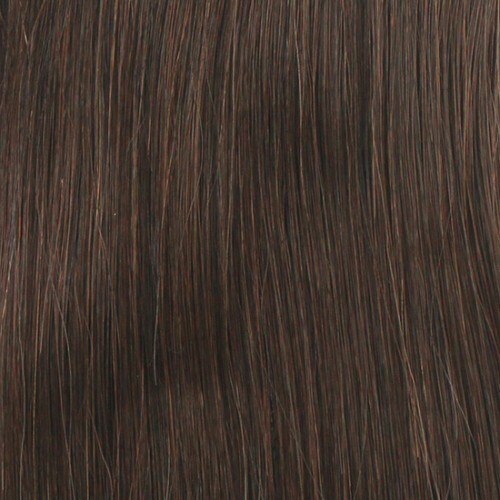 It looks natural and professionally done with volume and coverlet to cover weave tracks. 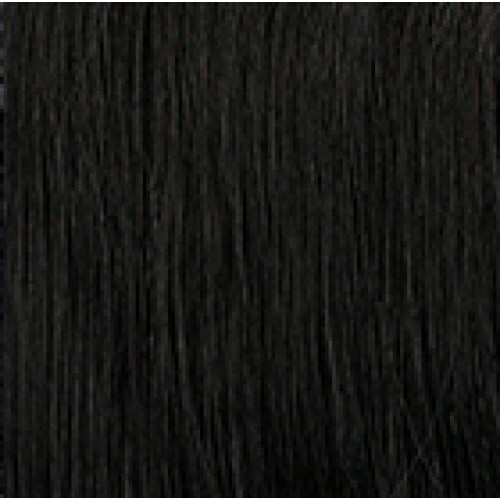 Its high heat resistant fiber curls well and also keeps the original curls. 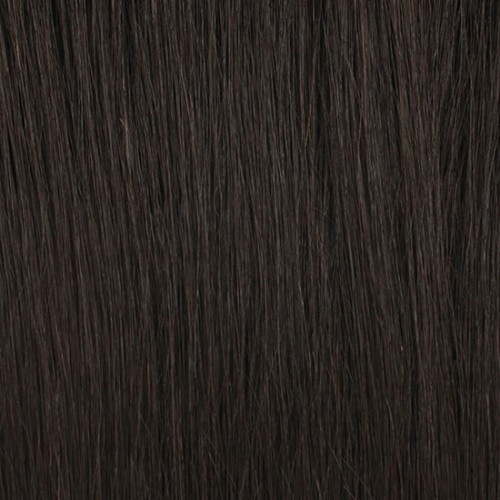 The fiber allows you to style it in different ways to remain trendy. 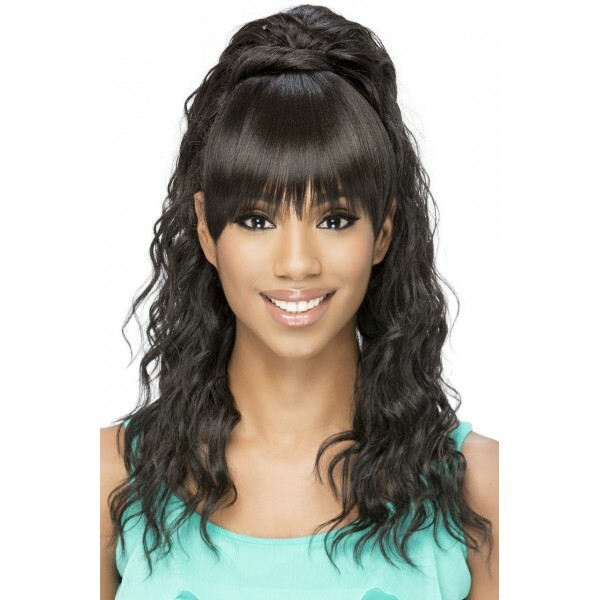 It features a trendy bang that can be swept to the sides for an even chicer look. It will be a great addition to your everyday extension collection.